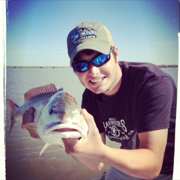 Home » Sea To Sky Outfitters Blog » Louisiana fishing » Venice, Louisiana bound to fish!! Venice, Louisian bound!!!!!!! As goose season comes to an end and we have all of our gear loaded up and leaving the Lubbock, Texas area we are looking back at a great season. 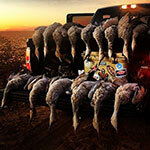 I want to say thank you to our clients that came to shoot some ducks geese and sand hill crane in the Texas panhandle. Now our focus switches to Venice, Louisiana to hook on to some red fish and speckled trout. With the spring approaching the speckled trout are about to really turn on. Red fish are plentiful as always in Venice! Remember these trips are just an hour out of New Orleans, Louisiana. 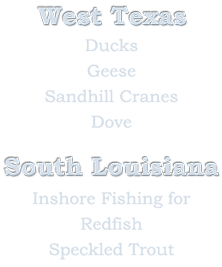 Plan the perfect family vacation and come see what the real Louisiana looks like. Fighting big bull red fish and full boxes of speckled trout never gets old and is enjoyable for all ages. Captain Orin Lonadier is known for his ability to accommodate family and children. This year many great things are going to be happening for Sea to Sky Outfitters. We are looking at a lodge for our clients. No more hassle trying to find a place to stay and it will have all the accommodations of home just down the river in beautiful Venice, Louisiana the fishing capitol of the world. So, get the kids, friends and others, and head down to Venice, Louisiana to have an inshore fishing experience like no other. A full box of speckled trout and the sound of a red fish stripping drag with one of the best captains Louisiana has to offer is just a phone call away. 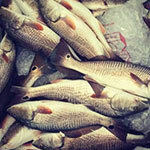 These reds are known for their hard fight and great taste as well as the speckled trout. So, get your arm muscles ready and hold on tight, Sea to Sky Outfitters is known for a doubled over fishing rod. Keep in mind dated are limited and are filling up FAST!!!!! !